Celebrity Big Brother spoilers have Lolo Jones and Tamar Braxton in a scuffle earlier. Lolo has been getting tired of Tamar’s attitude and whining which led to a verbal argument. Lolo seemed to be egging Tamar to act in the hall and Tamar stepped to the woman. 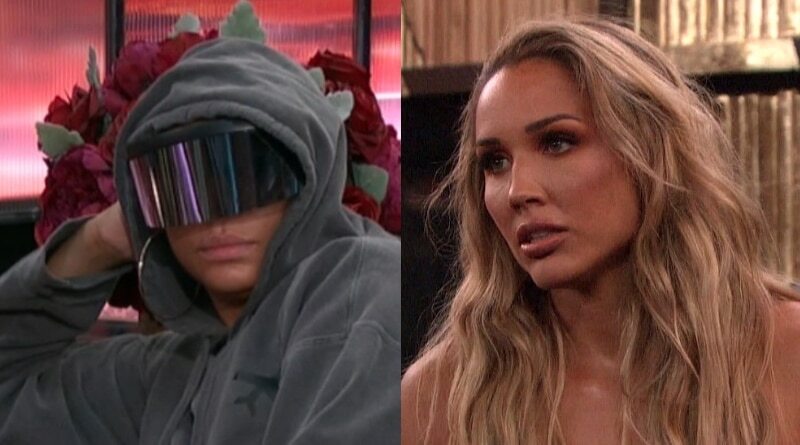 Lolo Jones and alliance member Natalie Eva Marie have been dealing with Tamar Braxton’s nonstop drama and attitude for a while now and things are finally coming to a head. Fans of Tamar say that her over the top personality is part of her gameplay and to keep viewers entertained. Combined with Lolo’s temper, it’s a volatile mix. Last night the three were in the bedroom talking and Tamar kept interjecting her own thoughts – probably about Kandi Burruss – while the other two were talking. Eva Marie had enough of it and told Tamar that she “always does this” and that she was sick of it. Tamar started getting defensive and proceeded to interrupt. Eva was getting visibly frustrated with the other woman. Eventually, Eva managed to calm Tamar down and things appeared to be settled for now. Earlier this morning in the bedroom, Tamar Braxton pointed out that Lolo Jones and Natalie Eva Marie were in the lounge until 4 am and Lolo, the only other one in the room, said they were consoling Dina Lohan. Dina had no idea that they were sending Jonathan Bennett home and was obviously a little upset. Her insistence that she was right set Lolo off and the Olympian started cursing Tamar out and she claimed that Tamar always does this. First, she has an issue and next asks Lolo’s opinion and then tells her she is lying and Lolo is done with it. Things got pretty heated so Lolo stormed out. Feeds cut. 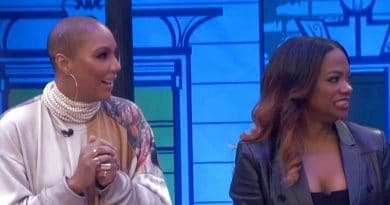 After everything looked to be over, Lolo Jones was on her way to the DR. Tamar Braxton was standing with Kandi Burruss and said, “next time someone calls me a b!tch, Imma start yanking.” It was meant for Lolo to hear and she accepted the challenge. So she egged Tamar on and told her to do it. Celebrity Big Brother spoilers showed the two went back and forth, getting in each other’s personal space and then production decided to cut feeds. The live feeds stayed off stayed down for a long time, so CBS All Access aired reruns of Celebrity Big Brother season one. Follow Soap Dirt for the best Celebrity Big Brother spoilers and updates. 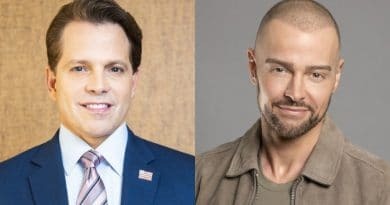 ‘Celebrity Big Brother’ Spoilers LEAK: Scaramucci Nominated for Eviction – Joey Lawrence Possible Backdoor?